Written on 10 August 2017 . Whether it’s your first time snowmobiling, or you’re a seasoned pro, we have compiled some helpful questions and answers that will hopefully make you want to run out, get a snowmobile, and look to the sky for snowflakes! Where do I go snowmobiling? Who can I snowmobile with? Do I need a license or permit to ride? Do I need to take a safety driving class before I snowmobile? How many snowmobile manufacturers are there? 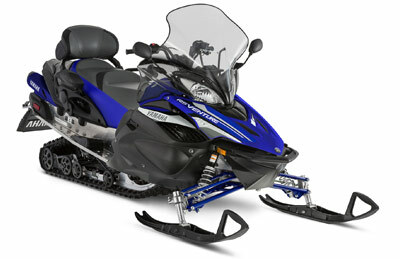 What types of snowmobiles are out there? 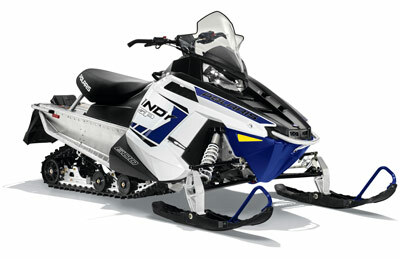 Where do I purchase a snowmobile and how do I know which one is right for me? 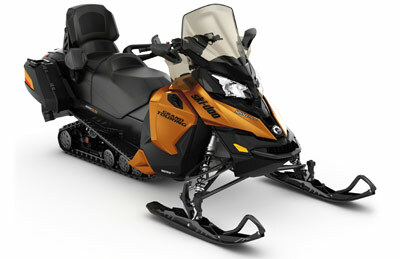 Where is the best place to look at snowmobiles? 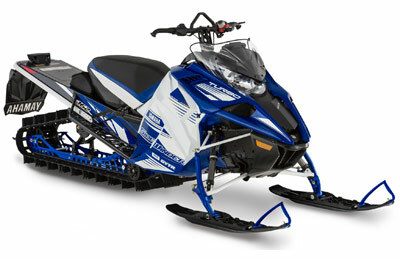 How much does it cost to buy a snowmobile and accessories? How do I know if there is enough snow for snowmobiling? How do I maintain a snowmobile? 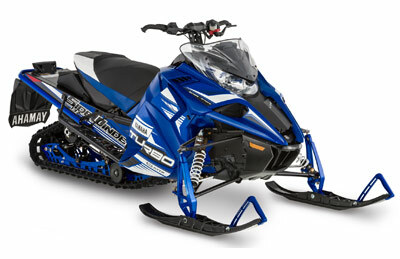 What are the implications of modifying my snowmobile exhaust system? There are snowmobile-riding areas located throughout the Snowbelt regions of the United States and Canada. Obtaining information on where to snowmobile is simple. State and provincial snowmobile associations have close affiliations with clubs that represent regions of the state or province. Contacting the state/provincial snowmobile associations will then put you in touch with a local club that will be very familiar with the trail system and riding area you wish to visit. The state/provincial natural resource department also has access to trail and riding maps, local visitor and convention bureaus and chambers of commerce in the regions you wish to snowmobile. In addition to extensive trail systems and riding areas, there are trail heads (trail beginnings) where you can start your journey. Launch your adventure by towing your snowmobiles to the trail head, park your vehicle, unload your snowmobiles, and then you can begin your ride to enjoy the wonders of winter on groomed and marked trails. There are over 3,000 snowmobile clubs in North America, all of which welcome new members. Snowmobile clubs are located in the area that you would like to snowmobile and are affiliated with the state or provincial snowmobile association. The local state and provincial snowmobile associations can help you get in touch with the club of your choice and give you information on where to snowmobile. Associations hold functions throughout the year where you can join a club and meet new friends for year-round fun. Find a snowmobile club or association near you! Some areas require a safety class. It’s best to check locally with your state or provincial snowmobile association. Your state or provincial organizations may offer safety-training classes. Don’t know whether your association offers safety classes? Find a snowmobiling association in your area for more information. Entry-level snowmobiles are often called trail models. 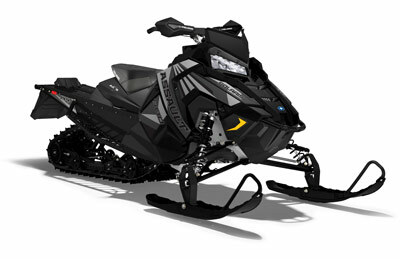 These snowmobiles come equipped with engines ranging from 60-70 horsepower, are easy to ride and relatively inexpensive. They can be equipped with electric start for easy starting, as well as electric reverse for better maneuverability. 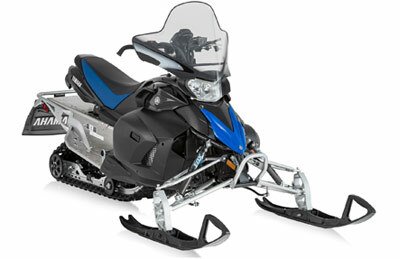 These snowmobiles are very light and easy to handle and serve as a great way to ease into snowmobiling. 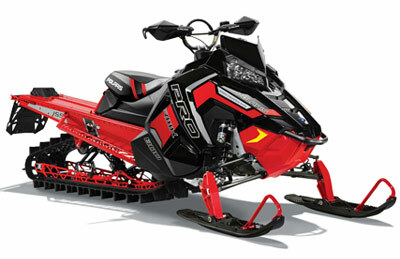 Performance snowmobiles, like performance automobiles, feature slightly higher horsepower engines. The engines generate 85 horsepower and up. These vehicles are slightly heavier than the entry-level vehicles due to engine size differentiation and additional weight related to suspension systems, shock absorbers and more. These vehicles are often equipped with reverse gear and electric start, and are much more responsive and performance oriented. Touring snowmobiles feature a seat configuration that is designed for up to two individuals, and features a backrest for added comfort. Touring models usually include side-mounted mirrors, larger windshields, reverse gear and electric start. 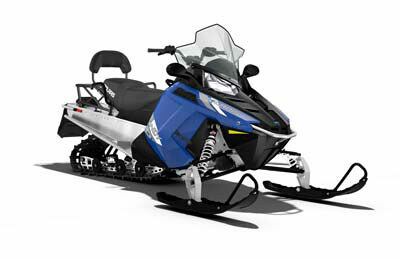 These vehicles are larger and heavier than both performance and entry-level snowmobiles and are designed for riding long distances in comfort. The track length of a touring vehicle is also greater. This longer track length cushions your ride, adds stability for two people and provides more comfort and weight. 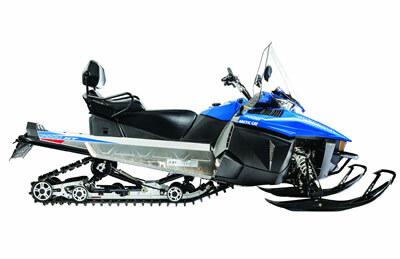 These snowmobiles, made specifically for mountain riding, are longer and narrower. The vehicle configuration allows for riding hillside in mountainous terrain and through heavy powder. The vehicles have specially designed long lug tracks, which allow them to maneuver through heavy, deep powder conditions. These vehicles generally have high horsepower engines, since horsepower is lost at higher elevations. The riding characteristics of a mountain snowmobile generally lend it to better handling abilities in mountain riding over trail riding. 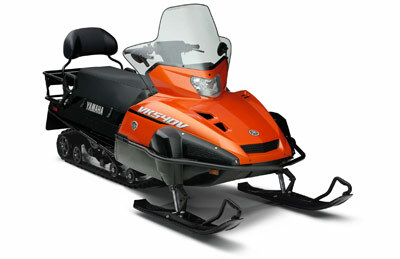 Utility snowmobiles are common when any work or utilitarian needs are required. 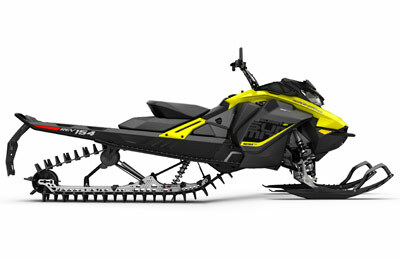 The vehicles are longer, slightly wider and heavier than other snowmobiles. They function exceptionally well on trails and heavy snow, and come equipped with electric start and reverse. They are often used to tow work sleds or toboggans. 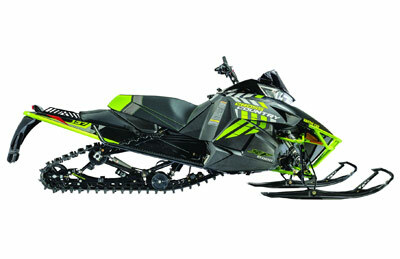 View utility snowmobile models. 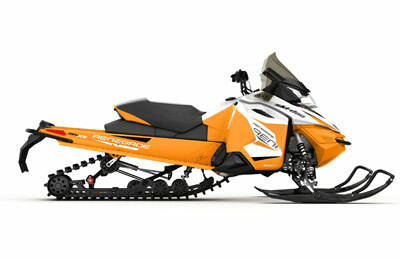 These snowmobiles are versatile vehicles that can go from the trail to powder and back. 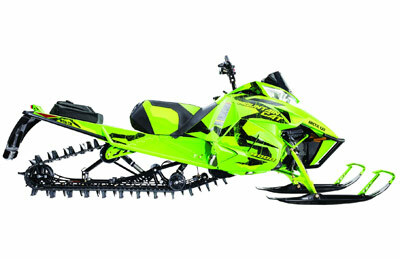 With a longer track for deep powder, these snowmobiles can be taken off the trail to find fresh powder in the woods. Suspension enhancements give it greater handling for aggressive drivers and maneuverability in any situation. 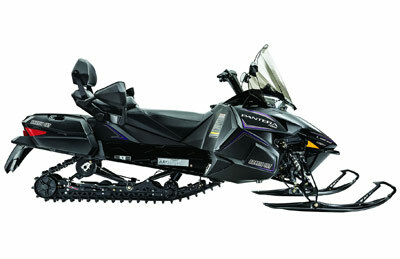 Crossover snowmobiles are ideal for trail riders who want the option to explore into the woods and beyond. Like any motor vehicle, snowmobiles can be purchased new or used from a licensed dealer. Snowmobile dealers are conveniently located throughout the northern tier (Snowbelt regions) of the United States and Canada. For a full listing of dealers, you can visit the manufacturers’ websites. When purchasing a used snowmobile, buyers should follow the same guidelines in buying a used snowmobile as when buying a used car or boat and have the vehicle inspected by a knowledgeable mechanic. A visual inspection will help determine if the vehicle has been properly cared for. Make sure to always ask for service records! When beginning to snowmobile for the first time, there are many considerations. If you will be taking a rider with you often, then you might consider a two-person snowmobile where you can travel comfortably with a rider companion. 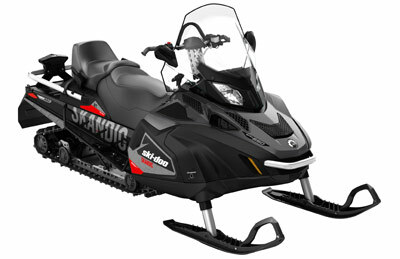 If you plan to snowmobile on your own, a standard snowmobile with mid-range power should provide the best quality ride. Individuals that ride in the mountainous regions of North America should purchase a sled specifically designed for mountain riding. As a tip, you may want to test ride a friend's snowmobile and find out why they purchased that particular vehicle. 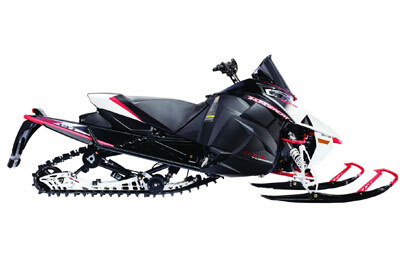 What to look for: snowmobile type (one or 2-riders), engine size and options. 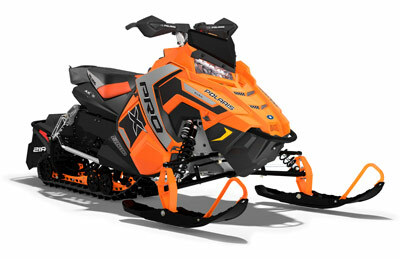 Discuss your preferences with the dealer to make sure you get the snowmobile that’s right for your needs. The best place to begin your search for a snowmobile is to attend one of the many snowmobile shows held in the states and provinces throughout North America, and visit local dealerships. Snowmobile manufacturers’ websites also offer helpful information and you can even build a snowmobile based on your preferences. Snowmobile clothing comes in all shapes and sizes and all snowmobile clothing, helmets and accessories should be purchased from reputable snowmobile dealers. The following snow-friendly clothing is recommended: bibs (pants that extend up your chest and back), jackets, gloves, boots and helmets. Snowmobile dealers offer a full line of clothing that is specifically designed and manufactured to keep you warm and help withstand winter weather. 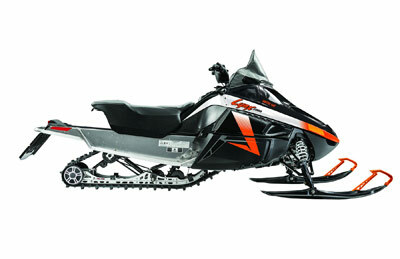 Snowmobile prices range from $2,000 for a used snowmobile to $10,000 for a new snowmobile. Snowmobile clothing costs approximately $100 for a jacket and $80 for bibs (pants that extend up your chest and back), $50 for boots, $20 for gloves, and $100 for a helmet. If you need to trailer your snowmobile, snowmobile trailers start at $500 and can go up to $3,000 for an enclosed trailer. Many clubs and associations sponsor swap meets and sales where you can find snowmobiles and clothing at reduced prices and information to help get you started. Find a snowmobile association or swap meet. Snowfall varies from location to location. We recommend you visit Intellicast, or other weather websites, to determine temperature and snowfall in the region you’re visiting. Your local state or provincial snowmobile association has trail condition information that is current and updated on their websites. Convention and visitors' bureaus also keep track of riding conditions. 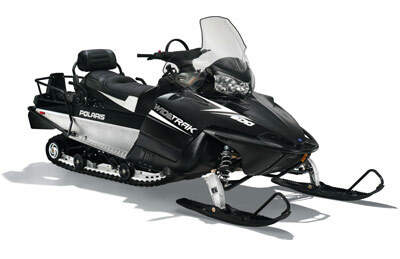 For more useful information, you can also visit Fun Snowmobile Clubs, Where to snowmobile and www.trailconditions.com. 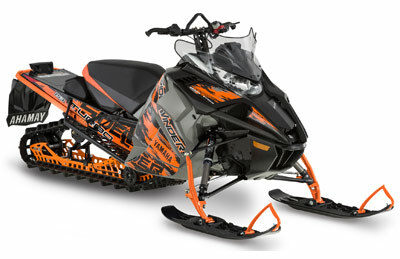 Maintenance on snowmobiles is basic and similar to motor vehicle maintenance and operation. A licensed mechanic through a dealership is usually the best way to ensure the vehicle will be ready for use. Always check the oil, belts and moving mechanisms of the snowmobile and refer to the owner’s manual that comes with every machine. 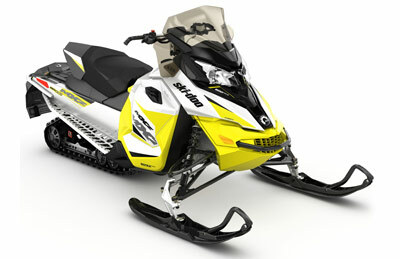 The snowmobile manufacturers certify all new snowmobiles meet two rigid sound testing procedures. The certification procedure is designed by the Society of Automotive Engineers (SAE) and recognized worldwide. The manufacturers work diligently to ensure snowmobiles are as quiet as possible and pass the strict SAE sound standards. If a snowmobile is modified, there is a good chance the snowmobile will no longer pass the rigid SAE sound test. Many states and provinces prohibit the operation of excessively loud snowmobiles and require the sound level to be equal to that of the SAE sound level. Exhaust systems are tuned to work efficiently with the engine. Many jurisdictions carry considerable fines for violating sound laws that can be caused by snowmobiles with non-original equipment exhaust systems. In some municipalities it is against the law to modify a snowmobile exhaust system with any exhaust system that does not pass the SAE sound certification test procedure. 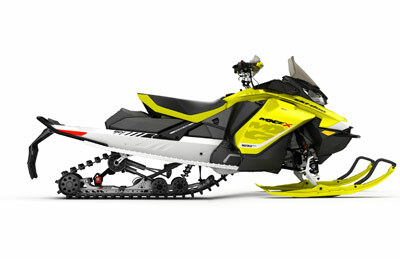 For information on snowmobile certifications and standards visit www.snowmobilesafetycertification.org.